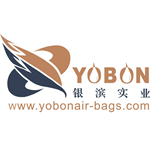 Dongguan YOBON Industries Co., Ltd. was founded in 2014, is located in transport facilities, information technology, logistics and efficient Pearl River Delta hinterland, there is the reputation of being the world's factory in Dongguan City. Our company try our best to developmenting and using composite packaging materials for many years.Through unremitting efforts, successful independent research and development to produce good quality and low price inflatable cushion ,AIR BAG。It own economic environment, the shock effect is much higher than EPE, EPS foam and other materials, creating a new era of 21st century packaging revolution.Now our customer are concentrated in the IT, electronics, precision instruments and other fields. AIR BAG are sold to more than 30 cities in China and are exported to Russia, Europe and the United States, Southeast Asia, the Middle East and many other countries.